SECRETFORTS: R.I.P. : Manganaro's Groceria, est. 1893. 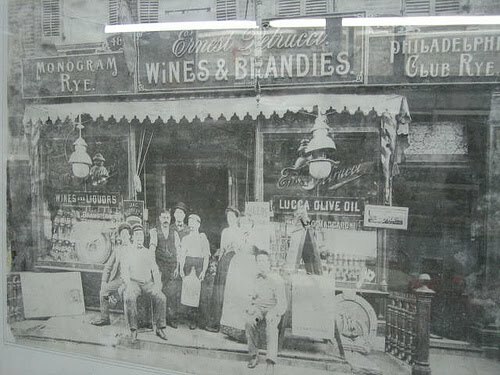 Feuding for more than thirty years, the Manganaro brothers have run two competing and neighboring businesses since the 50's on Ninth Avenue. 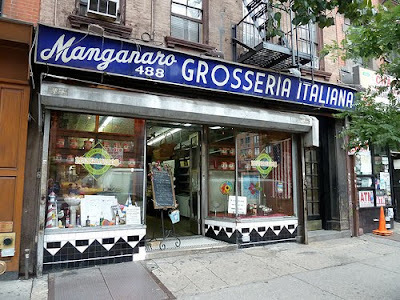 And no matter which side of the debate you side on, the closing of Manganaro's Groceria, opened in the late 19th century, heralds the death of an institution and perhaps the final chapter of a fascinating New York story. Click HERE to read the WSJ article. obviously, id rather have it there than not, but dont forget that these people were notorious assholes to their customers for years. first time i went was 1996 when i was working at the javits center and someone asked me to pick up sandwiches. i was 16 and the older woman nearly bit my head off for no reason. never forgot that. the woman who worked in the back was always extremely rude and off putting. not surprised its closing.